The Real Catwalk is a Body Positivity campaign organised by Khrystyana Kazakova, who was on the 24th series of America’s Next Top Model. 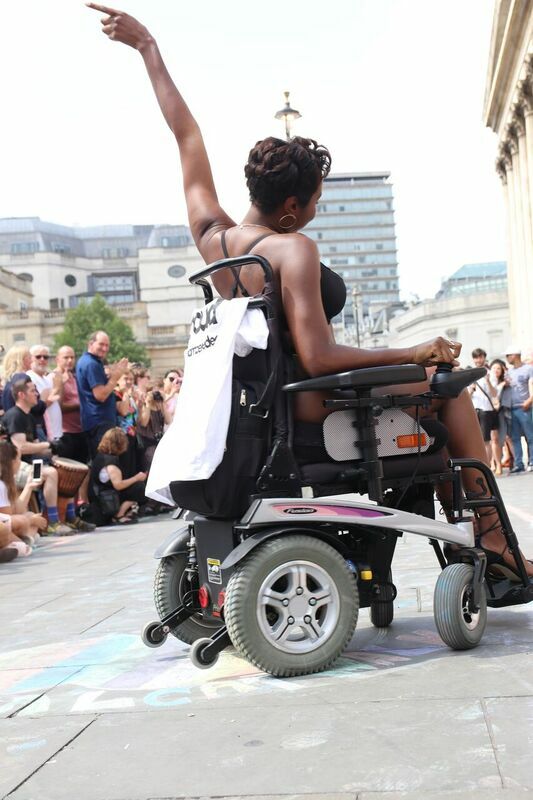 The aim is to get the fashion & media industries to become more diverse and inclusive, no matter your race, size, disability or sexuality, something that is lacking now. Khrystyana’s 1st The Real Catwalk event was held in Times Square New York in December 2017. As a model herself, she has faced hurdles and criticism from the fashion industry and media, because she is not seen as “slim” enough to be a ‘classic model’ but not “big” enough to be considered a ‘curve model’. Some weeks ago, Khrystyana contacted Zebedee Management about the upcoming The Real Catwalk event that was being held in London. She wanted there to be a mix of diversity and for people with disabilities to be represented. So, I along with 13 other Zebedee models decided to take part. On the morning of The Real Catwalk everyone that was taking part in the catwalk met at 10am at Waterloo Place for rehearsals. Once the rehearsals were over we all made our way to Trafalgar Square. The runway was outlined with coloured chalk and lined with the worlds media along with people who came to watch. 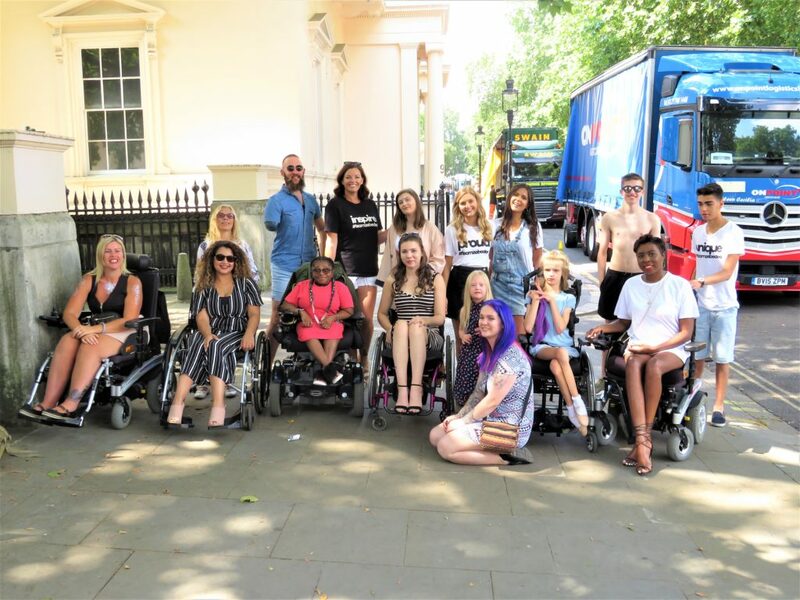 The love and support amongst everyone taking part was amazing as we all revealed ourselves in our swimwear in the midday sun, waiting to strut our stuff down the runway. After a few words from Khrystyana welcoming and thanking everyone for coming the show began. The Zebedee models all went one after another and before you knew it, I was next. Once I had had done my runway walk/wheel, I then went to have my photoshoot with a photographer in like a studio area that was set up. When everyone had done the runway walk/wheel we all went back out for the run through. 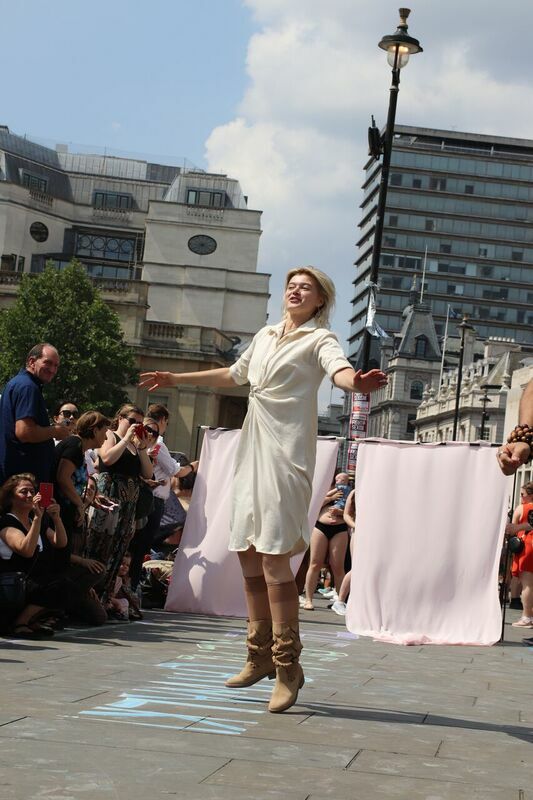 After the event was finished, bearing in mind we were in the middle of London in Trafalgar square in our swimwear, you would have thought we would have been keen to put our outer clothes on… Well, no! For around an hour or more we chatted, hugged, cried and praised each other on a job well done. There were photos being taken social media handles exchanged and I was also interviewed for BBC London Facebook page. I felt amazingly liberated and was on such a natural high, as the adrenaline pumped through my body. 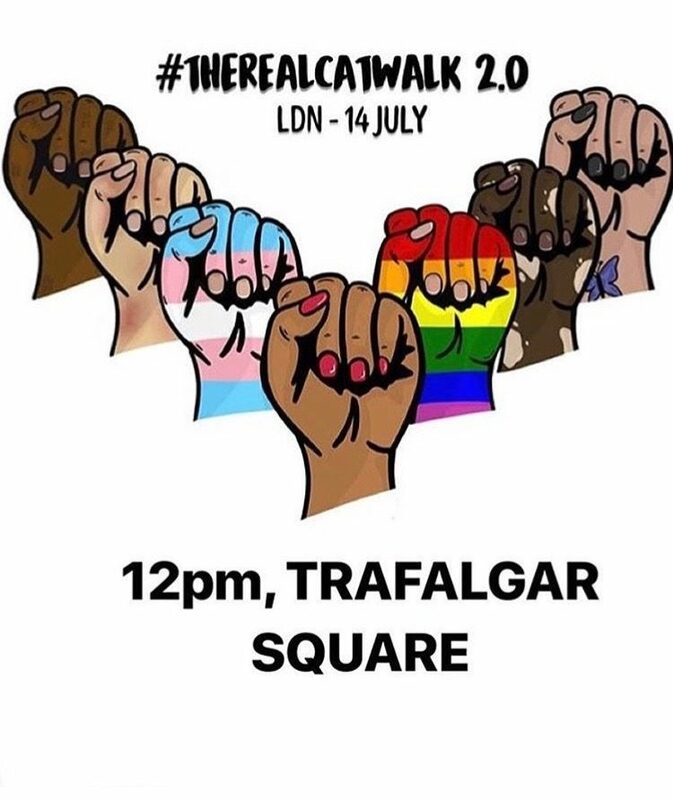 If someone said to me a year ago that I would take part in such an event I would have laughed in their face yet there it had happened. 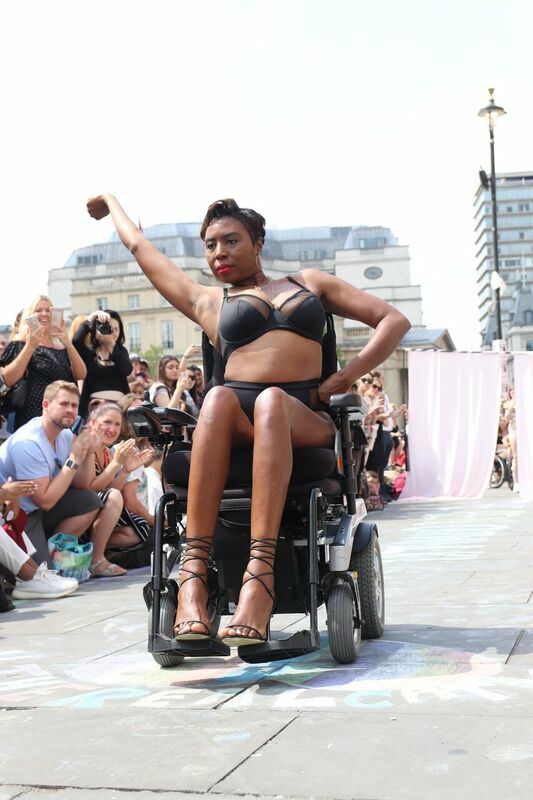 As a black, disabled, woman I think these sorts of campaigns are important. There are so many images in the media and on social media sites that have been photoshopped or the models used are super slim or had been surgically enhanced. The result is that people are trying to live up to these images that they are not going be able to achieve. People need to realise this is not real! My body is real and that is what a real body looks like. We should celebrate our differences, accept and be proud of it because that is what make us individuals.